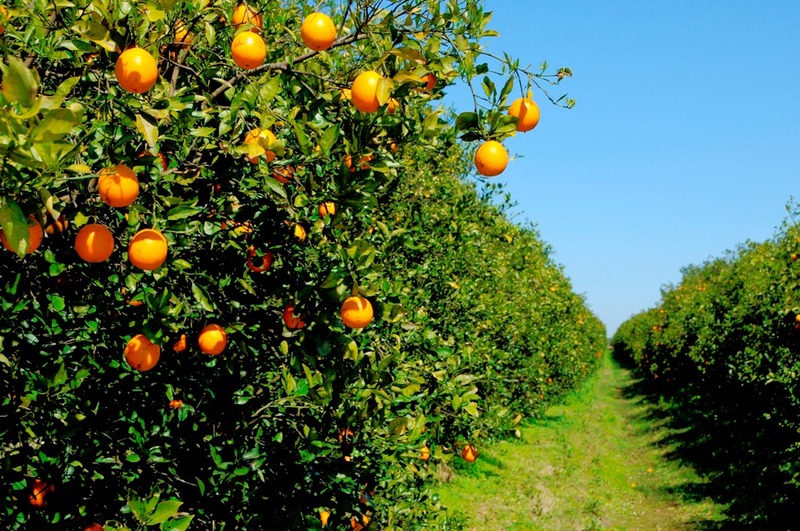 You can learn a lot from observing how a farmer works at producing oranges. I learned firsthand from my dad. My dad owned, what I called growing up, an orange grove. Actually it would be better described as a citrus grove. His grove produced oranges, grapefruit, and tangerines. There was nothing better than walking over to the tree, picking, peeling and eating the fruit! It is something I still miss to this day. How Would You Apply This List of Observations to Leading a Bible Study Group? You have to trim the trees. If you want good fruit, regularly training the trees is a must. You have to cut out the lemon sprouts. Grafting is the process used in order to produce stronger roots, healthier and hardier trees, and better fruit. The top of the tree (the fruit producing part) is not the same tree as the rootstock. Many of my dad's trees were grafted onto a "rough lemon" or "sour orange" rootstock. We would have to go through periodically and cut out a lemon branch that would be growing from below the graft. If we didn't, the tree would not produce the best fruit. You have to provide water. Water was essential if good fruit was to be produced. We used long lines of pipe that would have to be moved from row to row in the grove in order to keep the grove adequately watered. You have to provide the proper fertilizer. It had to be the right formula and placed at the right distance and in the right quantities. You have to dig up diseased tress. Trees' root systems were susceptible to root disease. Trees would grow old or get killed by cold weather. These trees had to be replaced. You have to control the weeds. If you don't, the weeds will weaken the tree, or vines will grow among the tree branches and choke the tree. They weren't "his" trees. I watched my dad work hours upon hours taking care of the grove. Many of the trees in his grove were trees he didn't even plant; rather they were planted by someone who previously owned the grove. You can't make a tree produce fruit. He would work so hard nurturing and caring for his grove, knowing that he could not make the fruit grow. There were things he could not control such as the weather or disease. Only the tree could produce the fruit. He was simply trying to provide the best possible environment for the tree to flourish and produce good fruit. but you can't make the fruit grow. It's not done for money or fame. My dad didn't necessarily own the grove in order to make a lot of money or to be known as a citrus industry tycoon. Had it been, his hard work would never have been worth it. He loved watching something grow, mature, and produce fruit. It brought him satisfaction that he had something to do with the fruit that was produced. While there was a monetary gain, his love for growing things far surpassed the monetary gains it produced. I can go back to my hometown today and still see that "orange grove." Some of the trees were there when my dad bought the grove, some of the trees I helped him plant, and some were planted by the current owners. All the while, the grove is still producing fruit-good fruit! Father, if immediate results, quick successes, or low maintenance is what we expect from teaching Bible study groups, we will grow sorely disappointed and most likely quit. Help us to see the big picture, and give us the passion of Paul for producing fruit. Keep us humble when we see growth by reminding us that it is You who produces that growth!